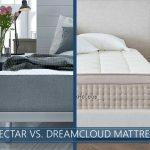 The Sleep Advisor team is excited to announce our updated mattress picks for 2019! What makes a high-quality new mattress stand out from the rest? Is it the material, construction, comfort, rating, or just the price point? A lot of people ask the question, “What is the best mattress you can buy?” The truth is the answer depends on many different factors! Teenagers will have different needs than adults and seniors, and stomach sleepers tend to have completely different preferences than, let’s say, side sleepers. With that in mind, we came up with the a roundup of the top rated mattress brands for 2019. We broke it down into categories by type, sleeper position, age, medical conditions, and specific needs. It won't take more than 10 minutes of your time. You can use the quick links to the right to navigate around the page easily. I'm 100% certain that you will find the right one for you here. Nectar is our top pick for “Best Overall Value” in 2019. The company took off in 2017 and customers can’t stop raving about and rating their bed. In fact, many consider it to be the best selling mattress this year. We love the Nectar. The product is constructed with multiple layers of foam (total of 11” thick). 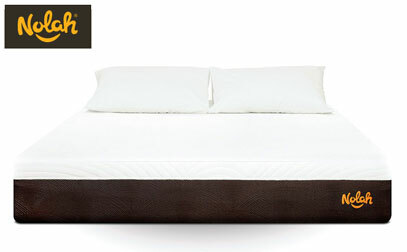 On top, there is 1” of cooling foam combined with Tencel covers, so you should have a very cool sleep experience. Deep layers provide good overall support for all sleeping positions, but we believe it excels for side sleepers. It provides excellent contouring and pressure relief. As far as firmness, it’s medium firm (around 6.5 out of 10), which most of us prefer. 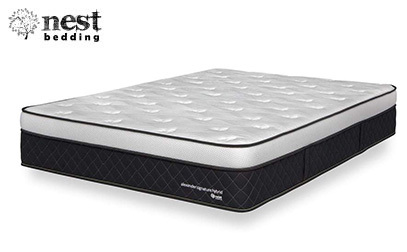 The versatile firmness level makes it perfect for all standard sleeping positions. You will notice almost no motion transfer and the edge support is fantastic considering it’s all-foam product. Why is it special? The Nectar provides a unique comfort experience. The specifications say it’s memory foam product, but the overall feel is quite different. You’ll feel well-supported while getting that cozy feel typically associated with memory foam. Still not sure? Nectar believes in their product and offers one of the best return policies in the industry: You can try it risk-free for 365 nights with a lifetime warranty. Layla is one of the most innovative memory foam based beds. With copper-infused foam and a ThermaGel cover, you can expect some of the best cooling properties. The beauty of it is that it only activates if it senses heat or moisture, so it won’t additionally cool you during winter days. Copper has been known to help with inflammatory diseases such as rheumatoid arthritis and osteoarthritis, and it could also improve blood flow. Layla is 10” thick with four layers (3” of copper-infused memory foam for the Soft side, 2” of convoluted support foam, 4.5” of base support foam, and a 1” of copper-infused memory foam for the Firm side). They were the first “bed in a box” company that offered a lifetime guarantee for their product. If you are not sure if you like soft or firm feel, you may just flip the mattress over and enjoy a completely different feel. If you take into consideration the material and build quality, comfort, and cooling properties, Layla is, for this reason, one of our top picks this year. If you are looking for a true hybrid bed (coils+foam), this could be the product for you. The bed comes shipped in a box, but you won’t be able to tell as there is no sacrifice in quality construction. What makes it so special? The quality. 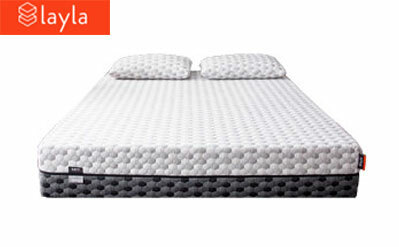 We’ve reviewed a lot of bed-in-a-box mattresses, and this product is one of the best hybrids. How is the bed constructed? Alexander features four layers of the highest quality materials. Quilted cover is on top, followed by copper-infused memory and smart flow foam. At the bottom, pocketed coils provide the foundation, airflow, and better bounce. 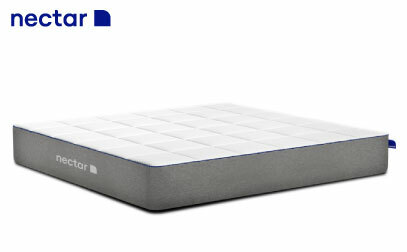 It combines the best of memory foam and coils into one. It comes with two firmness levels (medium and luxury firm). If you want a very cool feel (copper helps a lot with this), great comfort, and support, you shouldn’t be disappointed with Alexander Hybrid. You may pay a bit more than most of the competitors, but rest assured, you’re getting a fantastic new bed that we’re crazy about! It may just be your most comfortable mattress. Casper is probably the most well known bed-in-a-box company the last few years, and for good reason. Their mattress is an extremely comfortable product. It’s 10 inches thick and made up of four distinct layers. The first layer is 1.5 inches of proprietary foam and aides with cooling. The 2nd layer is made of memory foam and helps with pressure relief. The 3rd layer is transition layer that leads to the 5-inch base layer. Why is it the “Most Versatile” option for 2019? Simply put, we believe that nearly any type of sleeper will love it, whether on their back, stomach, side, or a combination; it’s a rare product that all sleeping positions will love with special zoning. Some buyers have exclaimed that it's the most comfortable bed they've ever owned. In addition, it performs incredibly well with light, medium, and heavier folks. Most mattresses are designed for a certain type of sleeper in mind (ie, stomach sleepers) and make it difficult for partners with different sleeping preferences. Casper solves that with this bed. 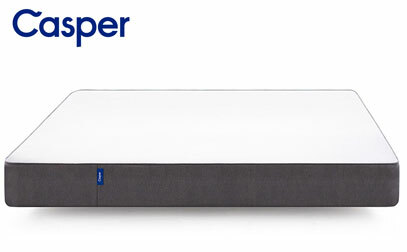 Do yourself a favor and try a Casper today (they have a 100-night trial period)! 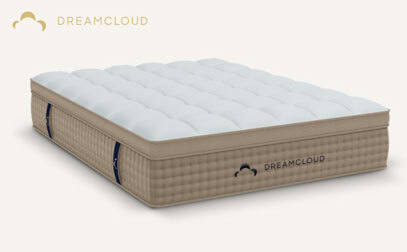 DreamCloud makes our list for its ability to offer a truly high-end sleep experience for an exceptional price and satisfied customer ratings. Not only do the materials used to build the mattress offer a significant value, you can also enjoy the year-long risk-free trial to make sure that the bed works perfectly for you. This hybrid was built to make an impression, and it certainly does with its 15-inch height and eight layers of premium foams and coils. The Euro-style top begins with a tufted cashmere cover. Though some mattresses with tufting only sew together the first few layers, DreamCloud has elected to attach all 8 layers together using a tufting technique that is made to be more durable than adhesives used in competing beds. A comfort system that blends latex and memory foam seamlessly transitions into a firmer support system that includes higher-density memory foams and pocketed coils in a 5-zone system. What makes it unique? DreamCloud is able to cut down on a lot of unnecessary overhead by using an online sales model and packing their beds into smaller boxes. By passing their savings onto consumers, buyers are able to purchase high-end quality that could cost them thousands more with competitive brands in more traditional brick & mortar store locations. If you’re looking for an all-natural latex option, then this comfortable bed should be on your radar. 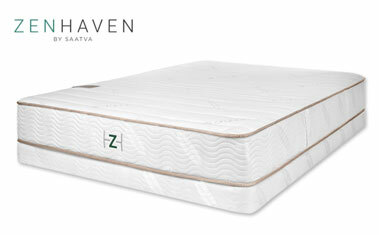 The Zenhaven is made by a veteran mattress company named Saatva. The Zenhaven is a flippable option that’s 10-inches thick. 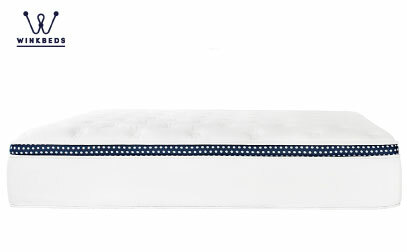 The top layer is made with 1.5 inches of Talalay latex that provides comfort and bounce. The next two layers are both 3 inches and are designed to provide either a support or transitional layer, depending on which side you choose. There’s another 1.5-inch Talalay latex layer on the bottom, which is the firmer side if you flip it over. The soft side is about 5 out of 10 with regards to firmness, and the firmer side is around 7. The majority of sleepers will prefer the “firmer” side of this bed. Why choose this bed? If you dislike memory foam and love a bed with great cooling, bounce, and support, this product delivers. It’s priced a bit higher than some of its online competitors (though much less than in-store models), but it’s worth every penny and its good ratings. While everyone else is competing in the foam mattress market, Saatva took a different approach. Most people are hesitant to buy an innerspring bed these days since foam offers great support and contouring. Saatva solved that problem by combining the two, ending up with this pillow-top hybrid. A coil-on-coil system of springs provides fantastic cooling and edge support while memory foam and a Euro-style pillow top provide exceptional comfort. It comes with multiple firmness levels (plush, medium, and firm) and two thickness variations (11.5” and 14.5”). Choosing a thicker option doesn’t provide any significant change in the way it sleeps, so it’s purely aesthetic (and the shorter version is adjustable base compatible). Overall, Saatva is one of the best beds you can buy these days. If you want a luxury mattress with great cooling properties, support, and durability, it’s likely perfect for you. 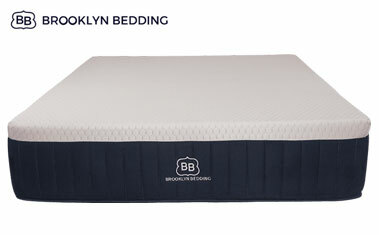 Brooklyn Bedding is most known for their Signature bed, also known as #bestmattressever. But that changed in November 2017 with the launch of the premium Aurora mattress. The mattress is one of the thickest we’ve reviewed at 13.5-inches. The top 1.5-inch layer is made using Energex proprietary foam with TitanCool. It’s a phase changing material that draws excessive heat from the body. The next layer is another TitanFlex foam that responds to pressure immediately. After that, it moves into a memory foam layer for deep compression support. Next, there is a 8-inches of pocketed coils which aides with cooling and provides some bounce. Lastly, there is a 1-inch layer to support the springs. How cool is it? Just try it. You’ll be blown away and hard-pressed to find a single mattress that feels cooler than this one to the touch. And it doesn’t stop with the cover. We can confidently say we don't believe you will overheat. The Brooklyn Aurora is a dream come true for hot sleepers. It’s a premium product that offers a 120-night trial — what are you waiting for? Before we jump into the bed’s performance, it’s important to note that the Nolah brand supports animal protection: When you buy the Nolah mattress, you choose an endangered animal help protect. Each year, the company donates 7% of their profits back to wildlife protection. It's a great cause, and the reason they won our “Most Socially Conscious” mattress pick! Okay, let’s talk about the bed now. With 20 years of combined experience, the founders of Nolah wanted to change the memory foam and latex industry with a new feel. That led them to create the proprietary Nolah Air Foam that helps reduce pressure in the hip, shoulder, and back regions. Let’s take a look at the construction. It’s a 10-inch mattress that’s made with three foam layers. The top layer is 2-inches thick and uses the Nolah AirFoam that’s great for side sleepers. The second layer is a 1-inch transitional foam that acts much like latex. The base layer is 7-inches thick and comprised of high-density polyurethane designed for steady support. What makes it special? The company positions their bed as having four times less peak pressure than comparable memory foam products. If you’re a frustrated side sleeper that suffers from too much pressure, then this product holds major appeal. With Nolah’s 120-night trial and 15-year warranty, you have nothing to lose. 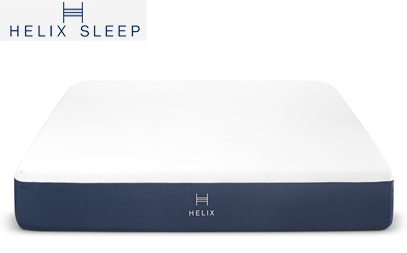 Helix has the most exciting approach when it comes to manufacturing mattresses. You can fully customize the feel, firmness, cooling, and elasticity by filling out a short questionnaire at their site. In essence, it’s a hybrid constructed from coils and polyfoam. Springs add a fantastic cooling effect, and the foam offers extra pressure relief and contouring. Helix offers over 9 different feels, all with different names and cover colors, and you’ll know the one for you by filling out their quiz. You can even choose a split solution if you are sleeping with a partner. That way, if you have different preferences, you can select a different firmness or feel for each side. If you are worried about sleeping hot, you have a partner with different preferences, and you don’t know exactly what kind of “feel” you want, Helix offers a fantastic way to select a mattress according to your specs which you will surely enjoy. All that at very competitive prices when you think about the quality and options you get. WinkBeds is the first mattress company to design a bed that’s specifically for overweight people. While they do offer other models –soft, luxury firm, and firmer — the Plus goes the extra mile to support heavier sleepers. Let’s look at the construction quickly. It’s a hybrid and measures a total of 14.5-inches; that’s a very thick mattress! The comfort layer uses a gel foam foam for support and a latex layer for bounce. The largest section of the bed uses pocketed coils for deep support (amazing for heavy people). Something that sets this product apart from the competition is the option to get the active cooling base (coolControl technology). Who should buy the WinkBeds Plus? If you’re over 250 pounds, then you should fall in love with it. With a 120-night trial period, you have nothing to lose and can check out why it is getting such high ratings! We believe that a mattress doesn’t have to be incredibly expensive to be good. Ultimate Dreams is the product that proves this. With 12” total and three layers, you will get that typical memory foam “hug” and feel most of us are familiar with. Like with most products these days, the gel is applied on top to provide better heat distribution. Even with that, it tends to sleep a bit hotter compared to latex or coil options. Lastly, as with most products of this type, don't expect a ton of bounce and keep in mind that bounce is a preference-based mattress category. Overall, this is a top best budget option on the market if you are looking for good quality, true medium memory foam feel that can easily compare to more expensive options on the market. So what is the top mattress material and type? The unvarnished truth is that there is no clear winner because mattress feels and styles are so subjective and depend so much on individual body types and needs. Depending on how you are shaped, different mattress characteristics may be more or less preferable, and your preferences will likely be different than those of even the person sleeping right next to you. Knowing a little bit more about each type of mattress, however, can help you narrow down your selection, so you can make the best possible choice for you and your family. This is an incredibly popular type for the average sleeper. Because of that, some of our top picks are from this category. It typically has a familiar hug feel and it contours perfectly to your body, providing fantastic pain and pressure point relief. However, the biggest upside can also create a big downside, and that’s sleeping hot. New and advanced constructions solved this problem with gel and open cell construction, allowing more air to pass through and less overall heat retention. If you are over 25 years old, chances are you slept on one of these traditional non-memory foam beds. Compared to new and advanced materials, you would think that coil mattresses don’t have anything to bring to the table anymore. Well, they still provide some of the best cooling, edge support, and durability. And most hybrids combine coils with other types of materials such as latex or foam. 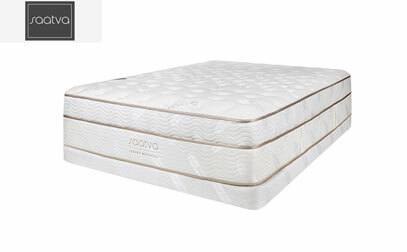 These beds are best for people who want traditional coil feel, good support, and sturdy edge support. Expensive (especially natural) – however, those online tend to be a much better price. If you sleep hot and are looking for a good and durable bed that’s also good for the environment, and if you can afford it, you very likely won’t be sorry if you go with latex. Combining two or more material types in a single mattress creates a hybrid with what many view as a much better sleep experience. The thought is that you get all the pros with less or none of the cons, and typically there are brands that have built very high ratings off of this strategy. Coil + Memory or Latex Foam. You get fantastic durability, bounce, and cooling from innerspring and contouring and hug from foam. See the rest of our top picks here. Coil + Pillow Top provides more comfort and relief for pressure points caused by the firmness of coil beds. If you'd like to learn more about pillow top beds be sure to read our full guide. This is a subcategory considering organic materials can be used in many different types of construction. But, since many people are looking for organic and eco-friendly mattress options without chemicals, we wanted to include it on our list. Back in the 1970s, the US law stated that all beds must contain flame retardants to prevent accidental cigarette caused fires. These days, there are way fewer smokers than back then, and people are looking for clean and chemical-free products. Mattresses are graded as 0-100% organic, meaning that if it’s 0%, it’s not natural at all. The closer you get to 100%, the more you will have to pay. The more eco-friendly materials are plant-based memory foam, non-synthetic latex, and, to a degree, coil with an organic pillow top. This an interesting and unconventional type. The main feature is that waterbeds use water instead of foam or coils to give it structure and provide comfort and pain relief. Water distributes your weight evenly, and relieves pressure points, which has the potential to be useful for arthritis or back pain. We created a detailed guide about waveless water mattresses so make sure to check it out if you want to know more about this type and see the ratings. Want to see more? See the 10 Top Rated Inflatable Air Beds and why we chose them. Convenient and typically far more affordable than brands that have to deal with the overhead that comes with storefronts, bed in a box – which are mattresses ordered online – are an excellent solution for your bedding needs. You can order them from the comfort of your own home and have your new bed mailed directly to your door. Because most come with extended trial periods and standard warranties, they are a low-risk buy. In addition, most of the top brands make them to order, so they are not sitting in warehouses for an extended time. Boxed beds are a relatively newer concept in the mattress industry, making it easier and more affordable than ever to have a great night’s rest. If you know the criteria to look for, choosing the right bunk bed for your home can be easy. However, there are a few different considerations than a mattress that fits in a standard frame or that sits directly on the floor. Things to keep in mind during your search include thickness, size, and firmness. Many frames for this style require something thinner, so make sure to get something that will provide enough support without bottoming out that fits a slimmer profile. Some companies also offer a range of firmnesses to fit this style, which can correspond to the preferred sleeping position. Just think about who is using the bunk bed and what the best fit for that person looks like. We hope to make the process easier with our list of top brands and ratings. Buying a futon comes with many considerations, from budget to function. However, whether you are looking for an occasional sleeping space for guests or need to greatly maximize the functionality of in your personal room, there are a wealth of options out there to choose from. Futons serve a dual purpose, meaning that it is important to purchase one that not only looks great, but something that accommodates sleeping and sitting positions. 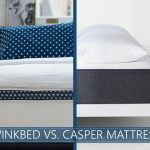 Choosing the right one can be the difference between feeling an uncomfortable frame underneath and spending the night in a deep, restful slumber. A good sleeper sofa can make the most of your available space while hosting guests or having sleepovers. Having one piece of furniture that acts as two can help save space and add more overall value to your furniture set. There are a variety of styles out there, including many that simply fold down and others that pull out of a sturdy base. It is imperative to pick a brand that is comfortable while functioning as a couch and a place to sleep. With a quality pick, you can get years of fantastic use out of it and it can be a worthwhile investment. With a variety of options on the market, you can have your pick of frame, style, and color. In the market for a product that works in an RV or camper and looking for the right mix of convenience and comfort? Whether you travel frequently or take one or two trips a year, it is possible to get a lot of mileage out of a great product. While RV products aren’t always known for comfort, we have selected a handful of picks that could lead to your best night’s sleep on the road. Many people have chosen to make RVing a lifestyle. If that is you, do not plan on sacrificing support and the adequate rest your body needs. Instead, pick the right type of material in the size you need, at the appropriate firmness level, and you may never want to go back to your bed at home! The Internet of Things, sometimes called the IoT, has made its way into every corner of our lives, and it seems only natural that it would find its way to your new mattress. Those looking for cutting-edge technology, even when they sleep, have a host of new options—with more cropping up every day! There are several new features common to what we expect from wellness wearables, such as health monitoring and sleep activity tracking. The idea behind a smart bed is that “knowledge is power” and the more you know about the way you breathe, sleep, regulate your own body’s temperature, the more optimized your sleep experience can become. Some smart mattresses are even moving beyond simple monitoring and are incorporating features that can adjust your bed’s temperature or even start brewing your coffee. How cool is that? Depending on a number of factors ranging from age to body shape to health conditions, you may find your sleep needs are highly specific, making it difficult to narrow down the correct mattress for your body without making significant compromises. These compromises can be compounded if you sleep with a partner who has different preferences. A top customized mattress, especially one with a split the feel so it’s different on both sides, may be something to consider if this sounds like you. A number of different brands approach firmness and feel from a more individualized approach and can customize things such as firmness, responsiveness, and weight capacity to each customer. Several up and coming brands can be flipped or adjusted at home, without requiring the additional purchase of a topper or other additional layer. Having a bed that can adjust with you is a huge advantage because so much in our life can change over the lifespan of a mattress, which can be decades long. 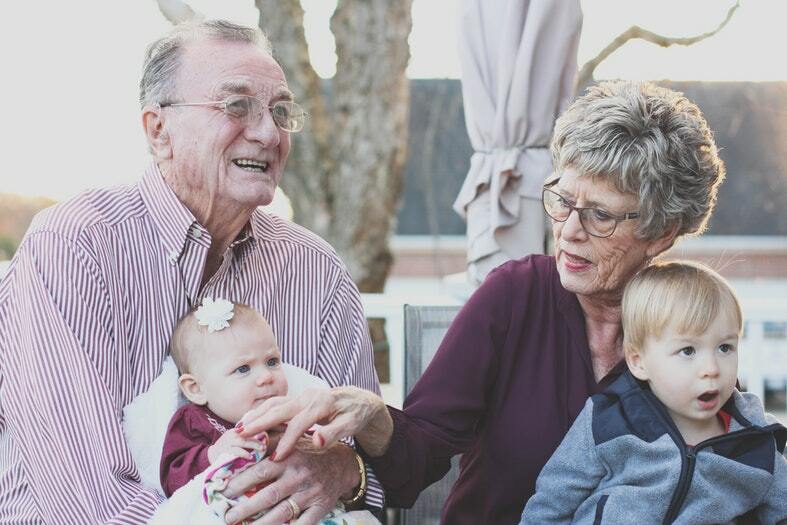 Weight gains or losses, pregnancies, injuries, or the natural aging process can all change our mattress needs and if your mattress can change with you, you know you’ve made a solid investment. Contrary to belief, only 15% of the population are dedicated back sleepers. It’s also considered one of the healthiest positions. When it comes to firmness, medium/medium-firm works very well here. You can go a bit more on a firm side but going with softer feel can cause the bed to “hug” too much, which could cause pain in the long run if the spine falls out of alignment. As far as materials, foam, latex, or innerspring are great, but you may want to make sure to choose a product with good cooling properties. There is no single “best” product here, since a lot of this is up to personal preference. Side sleeping is pretty common, and it is generally considered healthy and good for your spine and back. Although you won’t likely have the problem of heat and snoring, the main problem you may face is that firmer beds can cause shoulder and hip pain due to increased pressure. If you prefer this position, try to aim for a medium or softer product as it can contour and adapt to your body perfectly, causing pressure relief where needed. Although preferred by many, sleeping on your stomach is considered harmful in most cases. But, if you prefer this position, you can make your sleeping experience much more pleasant by choosing the proper bedding. Support is the number one concern for you here and choosing a firmer comfortable mattress tends to be the best choice. If you choose plush products, your spine could curve, causing pain after some time. Foam-based beds with firm feel are preferred by many, but good innerspring or hybrid, and even latex, can also serve you well, too. One thing to note is that you will most likely need a thinner pillow than normal to make your spine as straight as possible. Very few individuals are committed to just one sleep position and prefer to switch back and forth between two or three favorites throughout the night. Whatever your preferred combination is, you’re going to need a versatile pick. Combination sleepers should look for beds that advertise “universal” feels, especially ones that can offer a Medium-Firm feel as these typically offer the right blend of pressure-relieving comfort and support to accommodate most positions. You might also shop brands designed to help you reposition so that effort to roll over doesn’t wake you in the middle of the night. Traditionally, memory foam wasn’t considered very good for making love since it didn’t have almost any bounce and it had a slow response. Advanced and custom foams solved this issue, but latex and coil beds can be much better for this purpose, although picking this type can mean noise reduction. It all depends on what you value. Larger or heavier people have slightly different needs. Due to more intense pressure caused by weight, you may need a thicker and slightly firmer mattress than normal. Cooling and edge support can also become an issue. Usually, you will want to aim for 12” or thicker, but advanced foam constructions can provide the same level of comfort and support at 9-10”. Just avoid lower-end products as these will usually sag under pressure. For many people, the main reason for buying a new bed is that they want to sleep cooler. Just ten years ago, this wasn’t even a consideration. Today, it’s one of the main key features. Heat Retention Graphic – How cool or hot each type of mattress typically sleeps. The traditional foam will sleep much hotter than coil or latex type, and most hybrids were invented for this purpose. With the invention of the gel layer, even foam products are now much better when it comes to heat distribution. A good rule of thumb is if you tend to sleep hot, don’t go with cheaper memory-foam products. Either go with a hybrid, gel, open cell, phase changing material, or something aerated. Motion transfer – If one partner is a restless sleeper, a bed with lower motion isolation means the other one may suffer and wake up all the time. Coil construction usually means higher transfer and lower isolation, which ends up with more tossing. Different firmness preferences – If you enjoy a firm feel while your partner sleeps on his/her side and enjoys a softer feel, most couples will compromise for a medium firmness product. Many products can have split firmness (one side is firmer than the other), or you can opt for 2x Twin XL in a King size frame. With the invention of new and lighter materials, adjustable beds are now more affordable, durable, and comfortable. The main feature is that you can adjust it any way you want. This is especially useful for certain conditions such as back pain and snoring. Back in the day, this type of bed was used primarily by older adults, but these days almost anyone can use it. You can use it for an afternoon nap, relaxation time or when watching TV. “Zero gravity” body position allows for natural spine alignment for better pain relief. The downside is that some models haven't historically looked so nice (which is definitely changing) and there are mechanisms that have the potential to break after some time. It’s still a fantastic choice for may suffering from lumbar or neck stiffness or pain. If you have already decided which type of mattress and firmness level you would prefer and you know what kind of sleeper you are, you just need to select the right product. You can opt for firmer products if you are a back or stomach sleeper or a heavier person looking for more support and less sagging. It will help keep your spine from arching and your pelvis from sinking too deep. Mixing firm support with a pillow top or comfort layer can make the evening even more cozy. Your body and weight will play an important role in the overall feel. If you are a heavier person, you will generally need a firmer mattress to get the same feel as someone who is much lighter than you. Support is absolute key for any mattress ever, but something that feels like a rock can cause unnecessary pain in the long run. Higher end soft feel beds can also provide enough support, cooling, and help with pressure points. In most cases, side sleepers will want a softer feel, and a great example is memory foam. However, you probably will not want a softer feel if you are a strict stomach sleeper. For the athletes and active folks among us, for those who train and want to make the most out of every minute of the day, whether awake or asleep, there are products with innovative materials and features that can help to boost recovery. And boosting recovery may even lead to an increase in overall performance. While some brands tout specific gains for athletes, there are also other quality products that can offer everything from customization and cooling (perhaps good for some with high metabolisms!). Celliant, a material gaining popularity in this space and is currently undergoing testing, could help to turn the body’s energy back into infrared light for deeper rest and recovery. For light sleepers, sharing a bed with a restless child, partner, or pet can be misery if you don’t manage to select the right bed. Looking for the right set of features can help to ensure you are not jostled, shaken, or poked awake in the middle of the night by a stray elbow. Brands with excellent motion isolation, such as hybrids with pocketed coils or all-foam constructions, can greatly reduce the amount of vibration that can transfer from a partner’s movement to your space. Also, brands with excellent edge support can increase the bed’s usable space so that you’re not crowded into the middle of the bed where you might feel movements more acutely. Specific conditions require different bedding materials and firmness levels. We researched and selected the most common conditions that can be helped, or perhaps in some cases prevented, using proper mattresses. If you are suffering from back pain, night can be one of the only time of the day that brings relief. 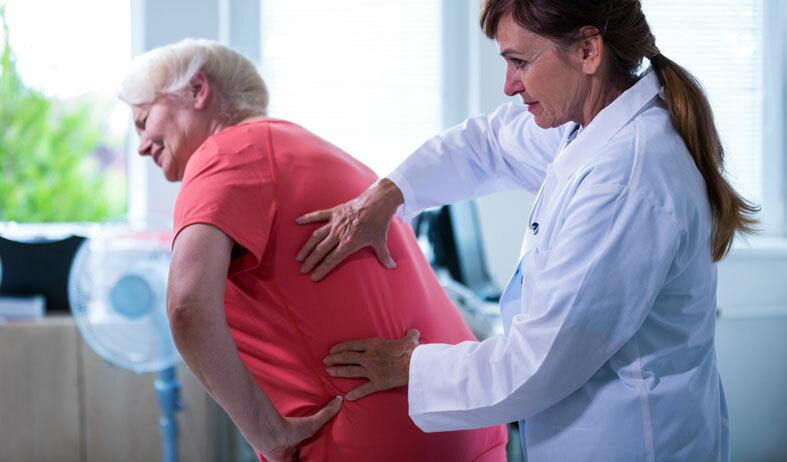 It’s usually a secondary result of some other underlying condition or disease such as arthritis, scoliosis, or kyphosis. When it comes to sleep, the most important thing is support. Note that firmer doesn’t equal more support, nor does it mean that softer feel bed is less supportive. Comfort is an important factor because you want those pressure points to rest during the night and proper spine alignment is a must. Many people experience it at least once in their lives. Waking up with neck pain once in awhile is not a cause for concern. But, if the problem persists, and if the condition drags out for months, first you need to get a doctor's exam and if everything is okay, consider adapting or changing your bedding. Most of the time pillows are the cause, but saggy and old mattresses can also cause neck stiffness. The most important thing is that your sleep surface supports your spine and neck (you can see some of the top rated picks for those who deal with neck pain). Without enough support, even firm beds will cause problems. Sleeping on your stomach with a thick pillow is also one of the major causes of this issue. In some cases, you can even consider sleeping without a pillow. Hip pain, much like your back, can indicate a series of other issues and conditions. Make sure to check everything with your doctor before purchasing a new bed. You will most likely experience this issue if you are sleeping on your side on a firm bed without a proper hug. Traditional coil beds are something to look out for if you are suffering from hip pain, but hybrids and foam products may be perfect due to increased contouring to your body. People suffering from this chronic autoimmune disease can experience severe fatigue, insomnia, and constant feel of tiredness. Other common symptoms are sleep apnea and restless leg syndrome. A combination of exercise, medications, and a proper sleeping surface can help relieve symptoms. Pressure points are very important here, and you will need a bed with enough support while providing good cushioning and contouring. Not only that it’s annoying for your partner, but snoring can also lead to more serious conditions. Slightly elevating your head while sleeping can reduce snoring and increase air flow. But, it’s not healthy for your spine and neck to sleep on a thick pillow in some positions. Sleep Number created a technology that allows you to adjust the height of your bed with a push of a button, which can really help. Other manufacturers followed, and nowadays you have many adjustable beds to choose from. We have created a complete article with the roundup of the best anti snore beds, so make sure to check them out. The population of people suffering from sleep apnea is growing every day as more individuals are going to their doctor seeking relief from symptoms of snoring and overwhelming fatigue. If not properly managed, this condition can lead to much more serious health conditions, such as high blood pressure, heart attack, or stroke. Though only your doctor can best advise how to manage this condition, a good mattress may also help alleviate symptoms and improve your rest. Mattresses that can accommodate side or stomach sleeping while properly aligning your spine may help your airways remain clear. Options compatible with adjustable bases may also open up more effective sleep positions. There are many factors that can keep you awake at night and contribute to insomnia, and talking to your doctor is the best way to help examine your symptoms. However, if you suspect your mattress might be to blame, there are several features to look for to help alleviate the most common forms of night-time restlessness. First, you may try shopping for picks that offer exceptional pressure relief as uncomfortable pressure points can inhibit good circulation and keep you awake. Also, if temperature is an underlying cause, you may look for options designed to regulate their own temperature so you don’t overheat. Exposure to molds, mildews, dust mites, or chemical irritants can all trigger an allergic reaction or an asthma attack. Traditional innersprings can create a haven for dust accumulation, and old-fashioned memory foams can be a hotbed for unwanted chemicals. Thankfully, more modern companies have come up with special features that can reduce exposure to unwanted triggers. Look for foams that are certified to the CertiPUR-US® or comparable standards and more eco-friendly materials that can cut down on chemical treatments. Pocketed coils, foams infused with antimicrobial additives like copper, graphite, or green tea, and all-natural latex beds can all help reduce the likelihood of an allergic reaction. Hot flashes may be inevitable, but a mattress that has gone the extra mile to develop cooling technologies for their mattress could help prevent the process from ruining your night’s sleep. You should look for beds that specifically target breathability as this can help keep the mattress cooler and drier while you sleep. When you do wake up sweaty, you will want a bed that can quickly dry out and help heat to dissipate. Beds with coil systems allow for a lot of airflow that can help regulate temperature, and in general, these mattresses sleep the coolest. Latex can also be an excellent choice as it is a temperature neutral material that also allows for a lot of air to flow through. If you’re in love with memory foam, many modernized memory beds have updated their foams to help prevent overheating. Moisture-wicking fabrics, phase change technology, or cooling gels infused through your foams could keep the heat your body gives off from getting stuck in the mattress right up next to your body. Pressure points are not ideal for any sleeper but can be absolutely agonizing for someone living with and learning to manage a condition like osteoporosis. Ongoing research shows that a light exercise program (designed by a health care provider) can help strengthen your muscles and protect deteriorating bones, but you probably won’t feel up to exercising if you aren’t able to get the proper amount and quality of rest. You will want to look for a mattress that can mold to your shape so that pressure points melt away while still providing the amount of support you need to keep your spine in a straight line. Beds with zoning in them can help you achieve this balance by varying support depending on the weights of different parts of your body. Mattresses that can help you stay cool can also minimize tossing and turning that can be exceptionally painful for folks with this condition. Though traditional memory foams do a great job with pressure relief, they can often sleep really hot. Newer innovations with these materials and infusions of gels and copper can help carry heat away so that your rest remains comfortable and cool. Research has shown that improving the quality of your rest can reduce the symptoms of Restless Leg Syndrome. Though only a doctor can provide the proper intervention for this condition, a mattress uniquely suited to your needs may help improve your sleep and allow your muscles a greater opportunity to relax. Improving your sleep hygiene could potentially go a long way towards improving the outcomes for a number of different health conditions. Ideally, you’ll want a bed that decreases pressure points and cradles your body so that restlessness is kept at a minimum. Memory foam or latex may be a good choice for that, as well as hybrids that include these materials in their comfort layers. As an added bonus, foams could help isolate motion that results from your moving legs and prevent it from disturbing your sleep partner. Choosing a mattress may be up to your individual taste and what suits you best. Ideally, your back should remain comfortably aligned and you shouldn’t feel any pressure. Your individual body type will dictate a lot of what kind of bed will best be able to manage your comfort. When we put together our “Affordable” guide for you, we looked for the best value options we could find. We're confident you will be able to find a bed that meets your quality and pricing needs. The luxury category doesn't have an exact price range, however, you can rest assured that each bed selected aims to deliver the highest quality product. High-end mattresses use premium materials that cheaper models cannot incorporate. A common misconception about high-end models is that they fall into one specific type of bed. That's not the case at all. In our full buyer's guide, we select memory foam, hybrids, latex, and other custom foam options. Of course, you want to be able to invite guests into your home and offer them a fantastic night’s sleep, but mattresses installed in guest rooms do not face the same wear and tear as those that are occupied every night. There are many more streamlined models and brands that can offer a terrific night for your guests while not breaking the bank. Many of the top companies offer entry-level options that are perfect for this purpose, and several budget-conscious brands may also fit the bill nicely. It’s obvious that babies and toddlers will have different needs than adults or senior sleepers. It's a good idea to consider our loved ones so they can get a proper night’s sleep in their new bed. Organic – You have the option of choosing products that have organic certificates. CertiPUR-US is another certification to look for (although this one is not necessarily organic). Fast growing children need proper spine alignment and support is of utmost importance during this age. If your child is old enough, you can notice how they act on different firmnesses and decide if you should go with firmer or plush options. Teen years are some of the most important for proper spine development. With that in mind, we all know the importance of sleeping surface and that it can cause various disorders such as kyphosis or scoliosis. They might not feel it right away, but if left unattended, it can create serious problems in adulthood. The rapidly growing body will need enough room, so consider upgrading if it doesn’t fit well. Teens also need more sleep, and that means spending more time in (and on) their bed. If your child is suffering from allergies (which can occur at this age), consider investing in a good latex or hypoallergenic pick. Of course, we must not forget our senior readers here. After the age of 55, you might notice increased back ache or joint pain. Sometimes it’s caused by conditions such as arthritis or sciatica, but in some cases, it’s just an improper bed. If you are around this age or if you are shopping for your parents, they might prefer that traditional innerspring feel (most of the people slept on such mattresses back in the day). But, consider opting for a really quality option if they are suffering from any condition or pain. Added comfort layers can be the difference between a pleasant and painful night. Looking for specific products? See our 8 recommended beds for elderly sleepers. If you have been shopping for a while or have seen advertisements, you may have a certain brand in mind. 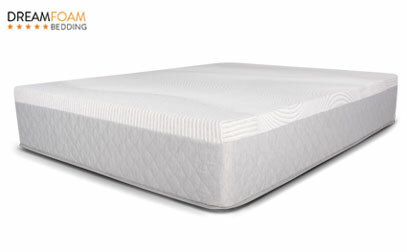 PuraSleep is an American-made brand that offers a selection of memory foam products. The company’s focus extends to creating a hypoallergenic sleeping environment, and their foams incorporate plant-based materials that are sustainable. They claim their offering to the market has a lower carbon footprint than competitors in the same niche. Their range of beds is CertiPUR-US® Certified and forego toxic glues for water-based adhesives. In addition, the brand prides itself on not having an off-gassing smell and products are delivered via free shipping. We have compiled a round-up of their options, complete with summaries to help you see if there is one that could work best for you. Well-known brand Serta has a line of iComfort mattresses in all-foam and hybrid (foam + coil mix) constructions. There are numerous beds in the line, with different firmness levels and feels. Yet, even though having a choice is amazing, you may need a bit more information to find out what works well for you. The company has been around for a long time, and its trusted name inspires confidence in many mattress buyers. If you know you want a Serta but need guidance to make a final decision, check out the following link! Tempur-Pedic’s nearly instantly recognizable name has a wealth of quality products to back it up. They are a large distributor of beds and have been around for a few decades. Known for quality, the company tends to have a great reputation among consumers. Tempur-Pedic’s quality is accompanied by an investment, and their line can take some analysis to find a good fit for each individual need and preference. With this in mind, we tried to help take the guesswork out of the process and created a guide for those interested in this brand. (Read even more about mattress dimensions). A Twin size bed is usually a child’s next step after graduating from a traditional crib set up and this size can easily follow your kid throughout his or her life at home. If they are taller than average, a Twin XL size bed can be a good option, rather than a Twin size mattress, and this is also a popular size for frames typically found in university dorm rooms. Adults that are pressed for space in their home may also appreciate the Twin’s ability to fit into tighter quarters, or for spaces that are super tight, you might even consider the Small Single size bed. If your space is limited but you feel crowded in a Twin size, you may consider the benefits of a Full size bed. You could potentially share this space with a small child, infant, or even a partner. If you need extra legroom, a Full XL would give you approximately five extra inches at the end for you to use to stretch out. If your room feels too cramped with a larger mattress, you may consider a Full size mattress as a possible alternative. This size, which is also commonly referred to as a “double bed,” is usually less expensive than the popular Queen Size. A very popular size for couples and many adult singles is a Queen size bed, as it gives you a lot of surface area to spread in, plenty of legroom to stretch your feet, while not being so large that it crowds the average room space. Many mattress manufacturers are also offering a specialty size called an “Olympic Queen” that adds an extra 6 inches to the width. This may not seem like much, but if you sleep with a partner who is an active sleeper or a pet that dreams of chasing squirrels, that 6 inches added to a queen size mattress may be necessary to keep you sleeping soundly. This is typically the largest size available and is roughly the size of two Twin XLs placed side by side. If you sleep with a partner and want to truly maximize your space, this is probably the bed for you if the dimensions of your room allow for its size. The King size bed is not only the largest, but it almost always is the most expensive, and you should keep in mind that any accessories you may select—sheets, mattress protectors, or toppers—will also be pricier than their smaller counterparts. If you like to share your bed with a partner, kids, and pets, however, the King size mattress may be the only route you want to go. Sometimes called a “Western King,” the California King size bed got its name due to its popularity on the West Coast, and at 84 inches long, it is the longest standard size mattress currently sold on the market. If you are exceptionally tall and require a lot of space to sprawl, this size may be ideal for you and your partner. You should know, however, that this size is four inches narrower than the regular King and you are getting the exact same amount of overall surface area. Because it takes the exact same amount of materials to produce a California King size mattress, this size is typically the exact same price as the regular. Most lower to mid-range products will have fewer layers (usually two or three) compared to higher tiers (four to six layers). Higher priced mattresses also have transitional and cooling layers for better comfort and heat distribution. These are subjective, and it can be a different vote for everyone. You might enjoy a firmer surface while someone else will prefer a softer feel. Some people will prefer a nice “hug” and contouring of memory foam, while others prefer traditional coil feel with faster response and less sinkage. Since we can not determine your preference, it’s up to you to decide what kind of feel you prefer. Comfort is also subjective, but it’s a bit more palpable. On a bed without proper support, you will feel uncomfortable even if the firmness is spot on for you. So, if a product doesn’t provide enough support, it cannot be comfortable in the long run. For this purpose, we use a scale of 1-10 (one being the softest, and ten being the firmest). Determining the mattress firmness is necessary so you can choose based on your preferred feel. Heavier people will usually need to go with a bit firmer options to get the same feel, while lighter sleepers can choose a more plush option. It’s a somewhat subjective parameter, which is good to note. One of the most important selling points these days is certainly cooling. If you are a larger, heavier sleeper or you just sleep hot, this may be the determining factor. We already discussed this in the first couple paragraphs when we talked about materials and types. For the mattress roundup of 2019, we didn’t include any products that sleep hot (especially those with traditional, low-quality foams). We just feel that there are so many great products with fantastic cooling properties that there is no reason to choose anything that doesn’t. Customer Reviews – Positive customer feedback is powerful, as well as social media and individual reports submitted to us directly. Anything else can be easily manipulated. Warranty and Return Rate – It’s important that the company honors the warranty period and that they ship a replacement as soon as possible if needed. Companies rarely disclose return rates but sometimes we can get that information. As you can see, there is no such thing as the “ultimate mattress” that will suit everyone in every situation. We have to consider the age, sleeping position, medical conditions, and other preferences to be able to choose a particular type, material, and ultimately the mattress brand. We're hoping that this guide was comprehensive enough for you to make your choice now. Research a bit more if you have to, and read our reviews and comparisons to get a clear picture. Then, let us know your vote!